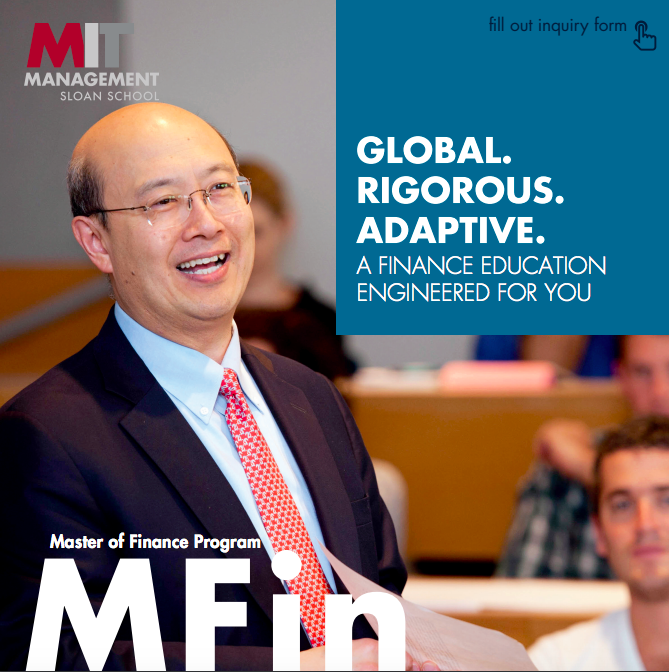 Please submit your name and email address to download a digital version of the MIT Sloan Master of Finance (MFin) brochure. Did an MFin alumnus/a tell you about the MFin program? Please provide the name of the alum.